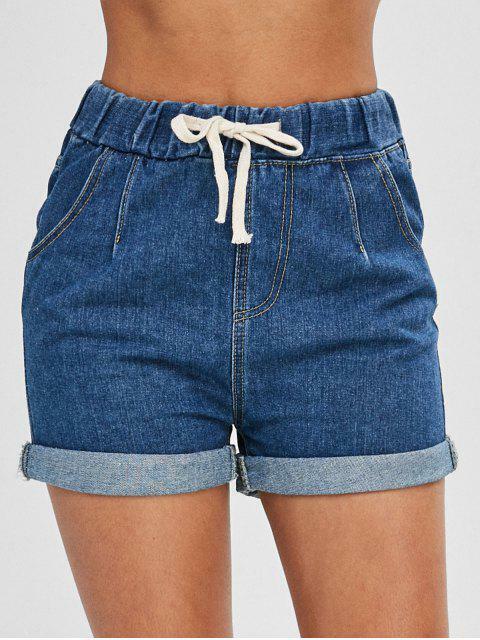 [37% OFF] 2019 Drawstring Cuffed Jean Shorts In BLUE | ZAFUL .. These denim shorts are subtly faded and ripped, and cut to a high-rise shape with a contrasting drawstring waist and rolled-up hems for a pared-back mood. Classic four-pocket styling completes things.